 Since 1936, The Energy Cooperative has delivered safe, reliable, and affordable utility services and has played an important role in the economic and civic life of Central Ohio. Through direct charitable contributions, in-kind donations, and volunteering, we strive to enrich those we serve as part of the Seventh Cooperative Principle – Concern for Community. In addition to applying for a position online, you may send your resume via email or the United States Postal Service.